Children from the Abilene area in foster care may end up in foster homes closer to their home towns, if an Abilene organization, New Horizons, has its way. 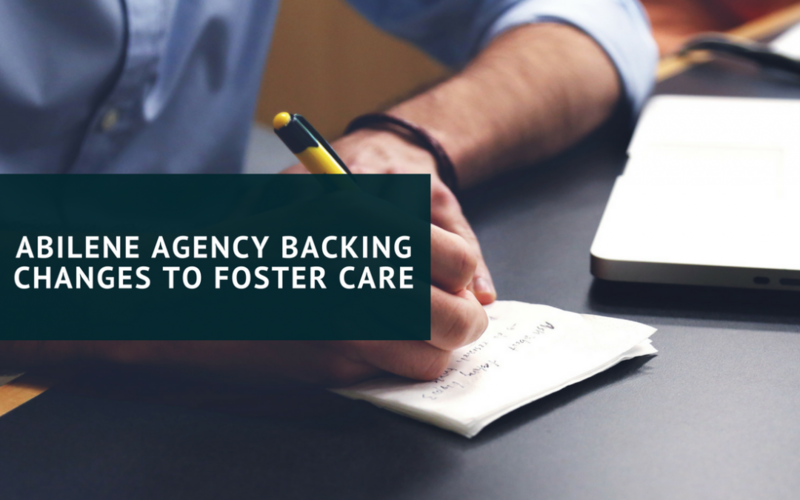 As it stands now, most abused or neglected children that end up in foster care get moved to wherever the providers are, which is sometimes far from everything that they know. New Horizons has worked with state agencies for the past year to change the policy, hoping to keep children in the same schools, churches, and with their other mentors. New Horizons is a private agency that provides foster care. The Department of Family and Protective Services commissioner is in Austin right now to bring the proposed changes to the Texas Legislature. Other proposed improvements to the system include helping the children maintain connections with family members, placing sibling groups together, respecting children’s cultures, and protecting them from abuse and neglect.